This is a revised transcription of an interview via internet on December 30, 2008. 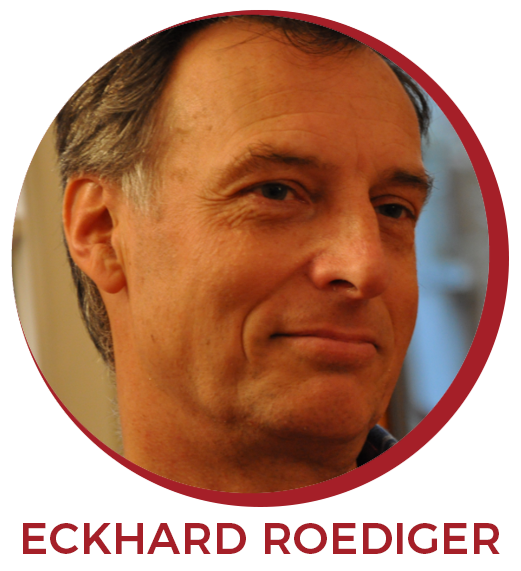 The interviewer is Eckhard Roediger, the current Treasurer of ISST. 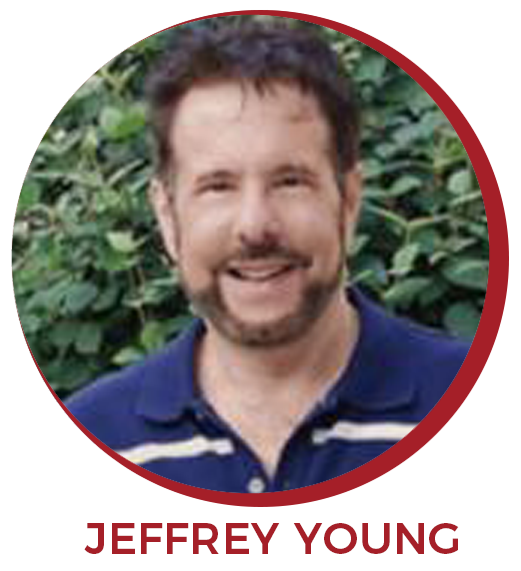 Jeff, what are the essential aspects that make Schema Therapy (ST) different from other forms of psychotherapy? The primary characteristic that differentiates ST from other therapies is that ST is truly integrative. Every therapy model has its strengths, but most other therapies primarily utilize only one or two modalities. ST is broader, both conceptually and in terms of techniques. Comparing it to psychoanalysis, ST is similar in going “deeper”, and ST focuses on feelings and thoughts that are out of the people’s awareness. But it does this in a much more active way, and it uses many more strategies. ST is more structured in how we assess the patient and guide the therapist to core themes. The typical analyst is much more detached and interprets needs, whereas reparenting in ST gratifies many of the needs of the patient. If we look at the differences compared to cognitive therapy (CT), it is almost the opposite: both are very active therapies, but CT is typically entirely “rational”, and in fact tries to teach patients to suppress or get rid of their negative emotions. When we work with longer term patients in ST, we try to evoke affect in the sessions, and try to understand where it comes from. ST also goes much deeper: what is called a core belief in CT is not nearly as “core” as what we call schemas. Our whole emphasis on childhood needs comes from attachment theory and is very much different from any concept in CT. ST has a developmental model, and CT doesn’t, in my view. So can we still see ST as a method close to or developed from Cognitive Behaviour Therapy (CBT)? My whole background from my early training was in CBT, so it is still present in many ways in ST, but is maybe not so overt. The high activity level, where the therapist tries to bring about change in an active way, has a lot in common with the whole CBT tradition. In the beginning of the therapy, we use emotive exercises to get to theorigins, but after the assessment, in the middle to later phases of therapy, we use many cognitive and behavioral strategies. These include helping them to look at evidence, offering advice, and suggesting new behaviors. But we utilize CBT techniques in a less structured way. I don ́t normally ask patients to write down automatic thoughts. I use labels for a schema, like “abandonment”, to show the patient how this is leading him to misperceive what is going on in his relationships or in therapy. We place much more emphasis on emotive techniques whenever necessary during therapy, and the therapeutic relationship is much, much closer than it is in CBT. How long does the assessment and the emotional activation phase require during the course of ST and how long is the CBT-like change phase? The assessment phase, where we do a lot of imagery work, on average might take two or three months. But even during the change phase -- a year or more-- there are frequent emotive sessions with imagery and role-playing, especially whenever the patient or I cannot determine what he is feeling, or when we get stuck. Much of the work in the change phase is cognitive-behavioral and reparenting. How long does Schema Therapy take? You have to look at different patient groups. I usually say that ST with borderline patients takes at least three years. The reality is: you can see a lot of change in two or three years, but most BPD patients do not stop then, although they often don ́t look as “borderline” any more. With BPD we are not talking about a symptom disorder. Therapy involves a gradual weakening of the dysfunctional parts of the personality structure. Even with less severe personality disorders, less than a year is rarely enough. What role did psychology as a science play in the development of ST? We have to realize that therapists from every approach, even psychologists who practice strict CBT, don ́t typically base treatment strategies on their scientific training. Cognitive therapy, in my opinion, did not truly come out of cognitive science, but from Kelly’s work. Many cognitive therapists use cognitive science as a rationale for CT, but Beck, Ellis or even Barlow developed their therapies out of good intuition and clinical sense about what worked with their own patients. There are very few strategies that actually come out of cognitive science. If we turn to ST, we could point to different aspects of science (e.g., how the left and right brains seem to operate, the amygdala, the higher cortex including mirror neurons, developmental and attachment theories) to support ST scientifically, but the bottom line is that the therapy didn ́t really come out of science. Scientific theory and data can be used to explain much of what we do, but the origin, why we do it, usually comes out of our own work with patients. What role did your personal life experience play for developing ST? A dramatic role! The turning point was when I was having personal problems myself. During the time I was working with Dr. Beck, I went to a very good CBT therapist, but could not get to the bottom of where my issues of loneliness and intimacy were coming from. So a friend of mine, who is now a schema therapist, said that he was seeing a great Gestalt therapist who was really helping him. So I went to see the Gestalt therapist, and in about ten sessions of Gestalt therapy, I learned more about myself than I had learned in a year with the cognitive therapist. My primarily realization then was that most of us have deep themes that we are not aware of. When we deal with intimacy issues or relationship problems, they go very deep, and most of us don ́t have cognitive awareness of why we are having these issues or how to solve them. This is why CT doesn ́t work very well with characterological issues, in my opinion. What other factors influenced the development of ST? I wasn ́t satisfied with Gestalt Therapy in terms of change. One major factor was the book “Cognitive Therapy and Emotional Processing” by Guidano and Liotti. The book was very important to many cognitive therapists who wanted to broaden their perspective. From a theoretical point of view, that was one factor that led me to a shift away from traditional CBT. Furthermore, when I went into private practice, I had many long term patients who didn ́t come in with Axis I disorders. CT was much less effective with them than when I was at Beck ́s center, where we saw almost exclusively patients with Major Depression for research studies. When our goals shift away from just reducing symptoms to helping patients feel happier, improving relationships, making major life changes, or undertaking deep personality change, I find that the cognitive behavioral conceptual framework doesn ́t provide enough depth for us to understand or change these problems. So what does it take to become a good Schema Therapist? I can tell you how I choose therapists for my New York Center. I look for therapists who, when they go to ST workshops and watch my videos, feel that it resonates for them personally. Otherwise they can learn ST as a set of techniques, but they usually do not become excellent schema therapists. I believe that therapists should be personally affected by ST in some way themselves. It requires a high level of abstract intelligence to be able to see patterns and themes in someone ́s life. The therapist cannot be so caught up in details that she cannot see the “big picture” across a patient ́s lifespan. We need to be able to put pieces of diverse information together into a larger framework, almost like a detective does. Another vital characteristic is flexibility. If a therapist wants a rigid, structured, predictable protocol following a prescribed route, these are usually not the best candidates to become schema therapists. ST requires constant adaptation and flexibility, based on how the patient is responding. Exceptionally good relationship skills are crucial. Being very warm and caring, and also able to show these feelings to the patient to create a reparenting bond, is vital. Finally, being in touch with our own emotions is very important. How important do you think “touch” is in schema therapy? I only touch a relatively small percentage of patients. So it is not essential, but an optional component of ST. For those patients where deprivation was very high in childhood, and I cannot reach them in some other way, had I not been willing to hold them I believe that they would never have connected enough to get better. What’s revealing about therapists is whether they are open and willing to use touch. If they are too inhibited to touch, it may also go along with a therapist who has difficulty showing his own emotions in general and who feels uncomfortable with intimacy. So the willingness to hold patients is a real asset, but not a requirement. Under what conditions can a psychodynamically- trained therapist become a certified Schema Therapist? Anyone coming to our training has to have the feeling that somehow what they are doing now is not working well enough. We have one or two people in our training program now who were trained as analysts. I think the primary requirement is they are dissatisfied with psychoanalysis. They also have to feel comfortable becoming more active and change-oriented. Another factor is a willingness to get close to patients. In the concept of neutrality, there is a notion of distance from the patient, and many therapists who choose psychoanalysis like that distance. Ideally an analyst should want to get closer, and feels constrained by the neutrality concept. For them, ST would be a “breath of fresh air,” with the permission to intervene in ways they always wanted to. For these analysts, it is definitely possible to become excellent schema therapists, even without prior CBT training. I would emphasize that having a CBT background is often a major advantage; but, on the negative side, cognitive therapists are often not accustomed to looking for deep themes, getting life histories, or spotting developmental patterns. It is a harder transition for analysts, but it is definitely possible. How satisfied are you with the development of Schema Therapy today? I am much happier than I was five years ago. In Europe particularly, there is major, significant progress in terms of the acceptance of ST, even though in most countries, except for some like the Netherlands, ST is still not a mainstream therapy. More and more therapists are interested in learning ST in so many countries. This is very encouraging for me. The most discouraging situation is in the United States. The cognitive therapy community is still very “Axis I” oriented. The lack of interest among cognitive therapists in delving deeper into patients’ issues, and the focus on short term protocols for specific Axis I problems, continue to be tremendous obstacles to broader acceptance of ST. Some cognitive therapists seem to have problems with the mode model and terms like “Vulnerable Child”. How do you explain this, and why do you use the term? There is a literature regarding multiple selves -- that we act differently at different times, and that mood states shift from moment to moment. Once people can accept this concept -- that there are different modes and states -- then we have to ask, “How we name these states?” When we look at the pure emotional states, for example when we are sad and cry, we know that this reaction is in the primitive part of the brain, the “child” part of us. If someone doesn’t like the word “child”, he or she could use the term “primitive” or “early”. The idea is that child modes are not part of our adult, higher level processes. The reason, I call it a “child” mode is because the feelings and emotions that we have, and that patients come into therapy for, often started in childhood and do not usually change without therapy. We still react as we did when we were children. I think people have to accept that the emotional part of us is composed of deep-rooted neural pathways, laid down very early in life, that tend not to change on their own over time, and are very difficult to change later in life. A term like “Vulnerable Child” helps the patient to grasp better the idea of deep- rooted emotions with their origin in childhood---- rather than a term like “core belief”, which is less emotional and developmental in its connotations. I work very hard to use language that conveys affect and resonates with patients. Some therapists prefer more cognitive or academic- sounding terms. But, if we try to convey these emotional concepts to patients, I don’t think that intellectual or abstract terms are nearly as potent. There is a strong trend toward working primarily with modes. How important is the original schema concept? I think it would be an enormous mistake if therapists stopped looking at the 18 schemas and only focused on modes. If you work with less disturbed patients than those with BPD, you can’t convey the nuances of what the patients’ issues are unless you also know what specific schemas they have. Even when I don’t use the term “schema” with patients, it is crucial for me to know what their schemas are and where they came from. With higher- functioning patients, two or three schemas might predominate in terms of understanding most of their presenting issues. For example, knowing that they have an “Unrelenting Standards” schema gives a patient a specific language for understanding very specific life situations. The mode model is much broader and less specific; it’s great for borderline or antisocial patients who often have so many of the 18 schemas. My ideal would be that we use the mode model with severe patients, but we use a “blended” model for other patients, combining the names of specific schemas with specific modes. What patients can benefit from Schema Therapy? I think that any patients who come into treatment for whom at least some of the origins of their problems are early in life, and their problems include recurring negative life patterns that relate to current life situations, can benefit from ST. From my point of view, this includes at least 90% of the patients we typically see at our Center. I’m sure it depends on the population that you are treating, but, from my experience, only a small percentage of patients come in with purely reactive Axis I disorders. Do you have a personal message for Schema Therapists in training? First, I think it’s exciting and stimulating to view each new patient as a unique challenge, not as a simple diagnosis or disorder, and not someone to fit into your prescribed protocol. Second, you have to work really, really hard, trying different strategies, in a flexible way, until you can “push” the patient to make changes. Don ́t give up and become passive. And third, never lose sight of the therapeutic relationship- - without a good relationship, no matter what else you do, Schema Therapy won’t work. Jeff, I want to thank you for this interview! Thanks, Eckhard, for your hard work in putting this interview together. I hope our members find it helpful.